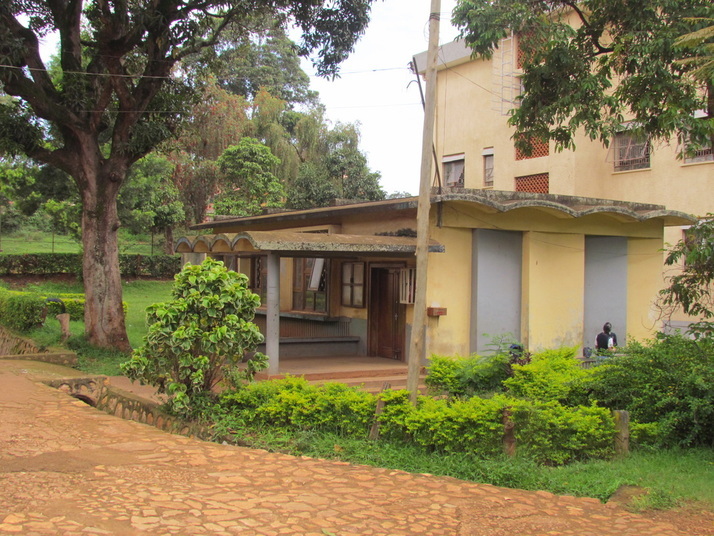 Classrooms – Old Kampala Alumni Scholarship Fund. Come along on a tour of the classrooms, as they were in June 2014, and see how much, if anything, has changed since you were a student or a teacher here! 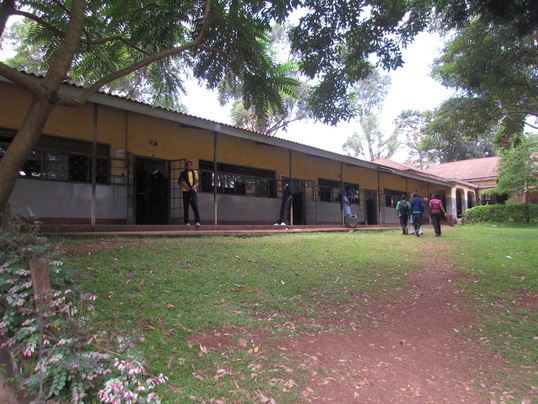 These classrooms are located immediately to the right as one enters the school through the main gate located on Namirembe Road. 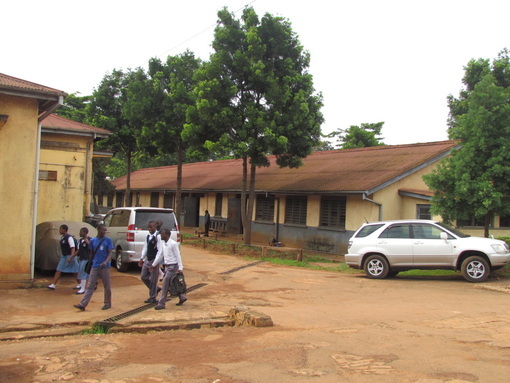 Classes for S5 and S6 are held here. 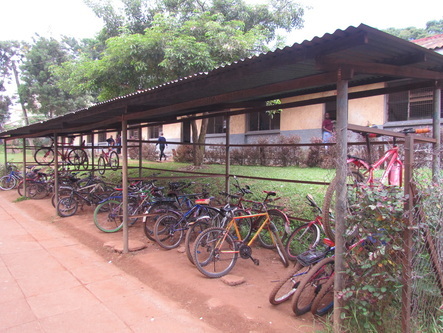 A bicycle stand in front of the S5 and S6 classrooms. 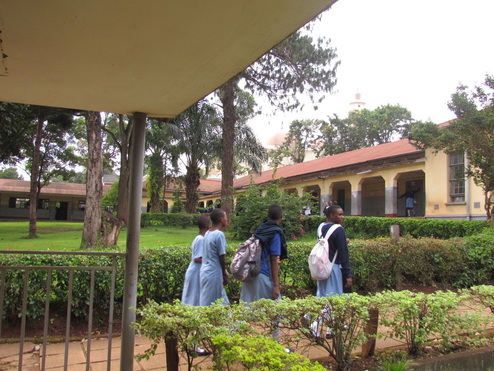 S1 and S2 classroom wings in the background. 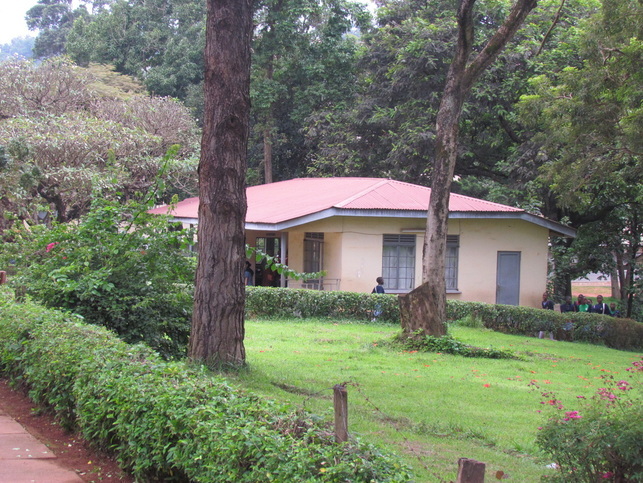 A part of the headmaster's office is seen in the foreground. 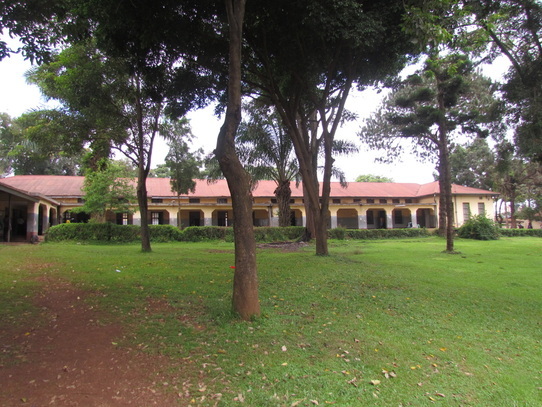 S3 and S4 classrooms with the assembly square in the foreground. 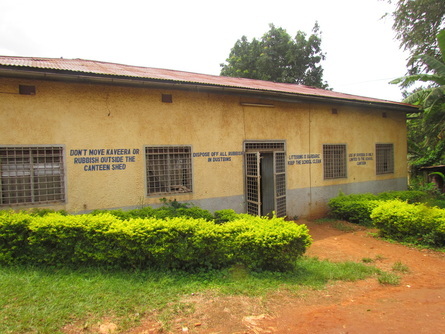 The 3-window room at the far back that used to be the arts classroom now serves as the staff room. 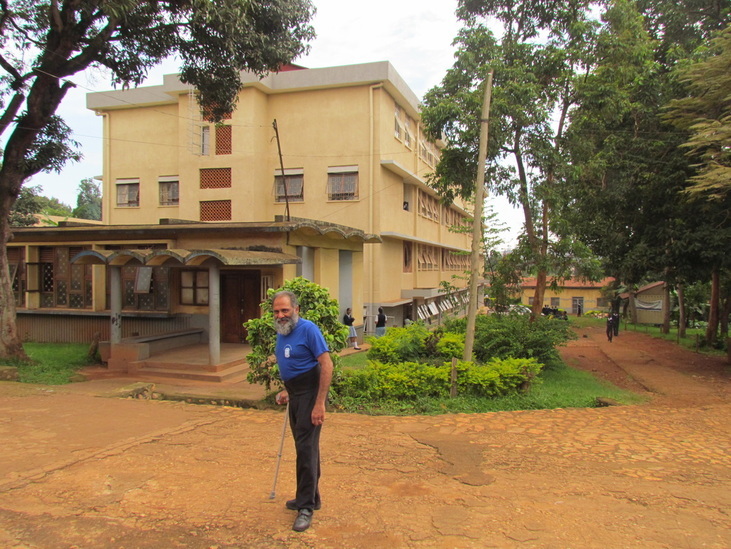 A satellite dish is visible just below the roof of the staff room. The old school library seen in the foreground (above) is now used as a conference/meeting room after a multistory library, including a computer lab, was built (below). 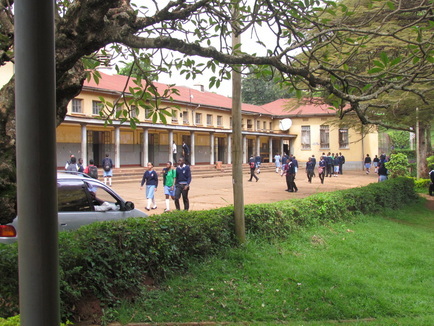 The tire rim suspended from a tree to the right of the old library and which served as the school bell is long gone having been replaced by an electric buzzer system. 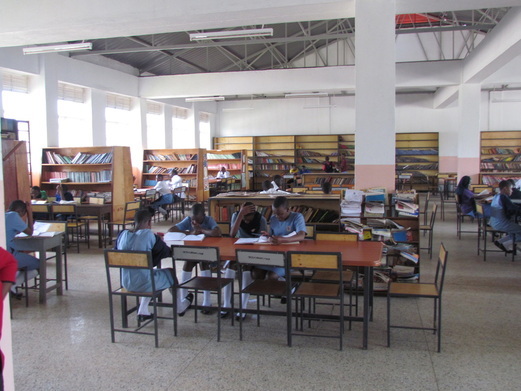 Students in the new library. 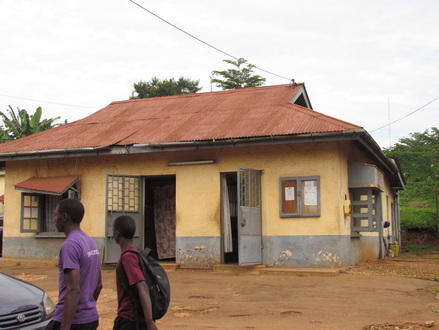 The door on the right leads to the bursar's office.The room on the left that used to be the staff room is now a day clinic staffed by a nurse. 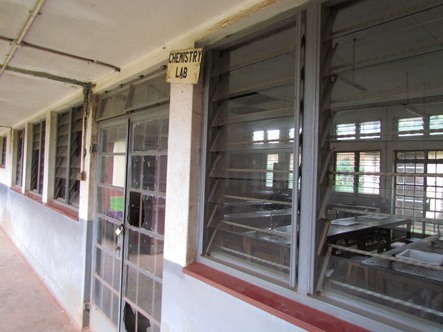 Physics and Chemistry Labs at the top of the hill beyond the cricket ground. 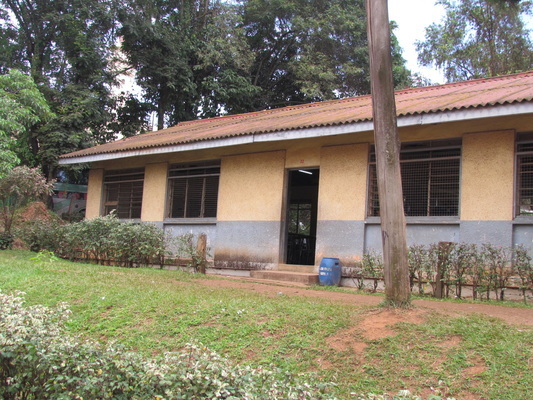 A one-time music classroom, it was turned into a French classroom before assuming its present function of a computer lab. 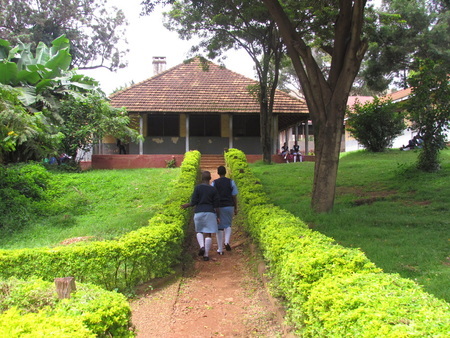 Making the turn towards S1 and S2 classrooms (previously biology lab for the same grades). 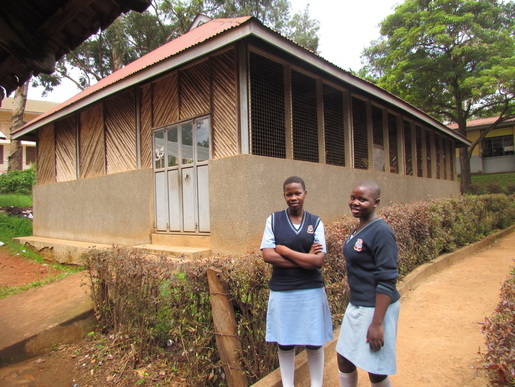 A relatively new structure where Home Economics classes are held. End of the tour at the Headmaster's Office!